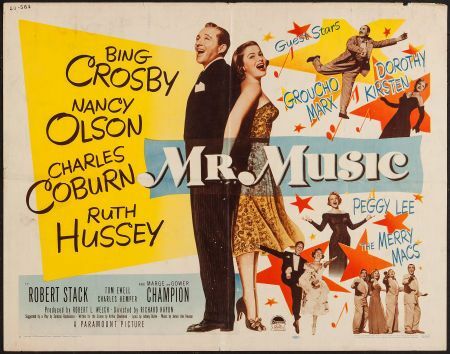 Who better than Bing Crosby to play the lead role in a film titled Mr. Music circa 1950? It’s a familiar tale in this black and white feature from Bing’s home studio, Paramount. All that’s really missing is a Bob Hope cheap shot. Bing stars as a song writer of note on Broadway but hasn’t been doing any writing in three seasons. He’d rather be chasing girls, drinking and playing golf. Could Bing be playing Bing? A definite touch of reality going on here with the golf. As for the girls and the drinking? I’ve heard stories. 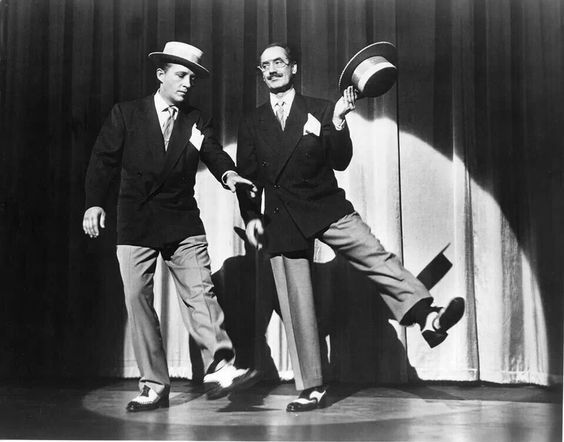 Bing and his long time producer and best friend, Charles Coburn, are on rail heading back to the college Bing graduated from for an appearance at the school’s big song and dance show as a guest of honor. It’s an amusing arrival when the train pulls into the station and the school is out in full force to welcome …… Robert Stack who is the school jock. Sorry Bing. A quick stage number ensues and it’s time to get on with the plot. Bing’s broke and Coburn needs a play. He forwards Bing a large amount of cash to keep him afloat on the condition that he get to work on some new songs. To ensure he does just that, Coburn entrusts the cash to Bing’s new secretary, the graduating Nancy Olson. Yup it’s another case of the older leading man with a promising young star. Bing was 47 at the time and Nancy 22. On the plus side, their age gap is one of the plot’s featured hurdles to overcome. Bing has an on again off again relationship with Ruth Hussey who is looking to hook a rich man. Something Bing hasn’t been in a while. Tom Ewell is cast as Bing’s underpaid butler and all around caretaker and when Olson takes the job as Bing’s babysitter, she moves in with her aunt and all around scene stealer, Ida Moore. Bing’s kind of sour on the young Olson and figures she’s an easy touch for the money he’ll need to carry on his nightlife and golfing habits. When she proves to be a tough cookie and honorable to boot, his opinion of the young lady is bound to change. When Bing gets down to writing some romantic lyrics, her opinion of the self centered star just might change as well. Before we get to that big Hollywood send off, the plot will have to overcome Bing’s love for Miss Hussey and Olson who has heart palpitations when the school’s star athlete, Stack is close by. Some of the film’s most amusing bits are when Bing attempts to match Stack’s miraculous feats of strength to a far lesser success. Still to come is a very White Christmas like wrap up. Coburn is a washed up producer who is ready to give up his career so why not put on Bing’s new show at the school to show Coburn and would be backers just what Bing is still capable of under a Coburn production. Sounds a bit like the “old gang” getting together to bring joy to the home of Dean Jagger in the holiday classic. 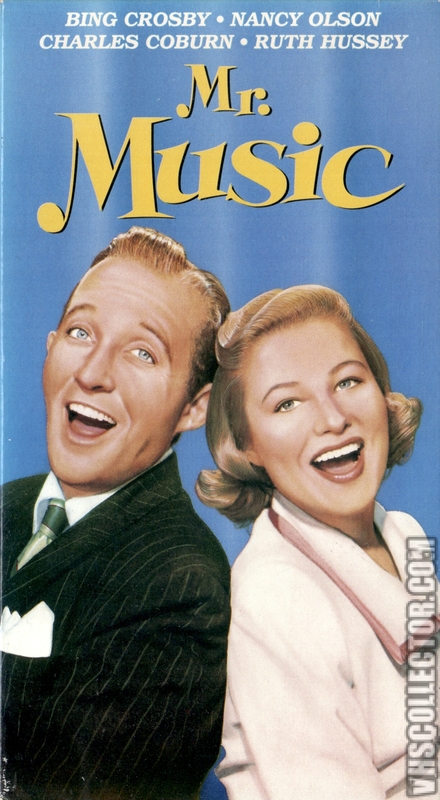 Thankfully Bing can enlist some cameos from the likes of Peggy Lee and Groucho Marx as themselves pitching into the closing numbers. One shouldn’t be surprised to find Groucho walking off with the scenes he shares with Bing thanks to his zany one liners and girl chasing. Also on board in a small role is England’s Richard Haydn, a well known character actor who actually directed this feature. It’s the third of only three films he directed during this point in his career before going back to acting full time. 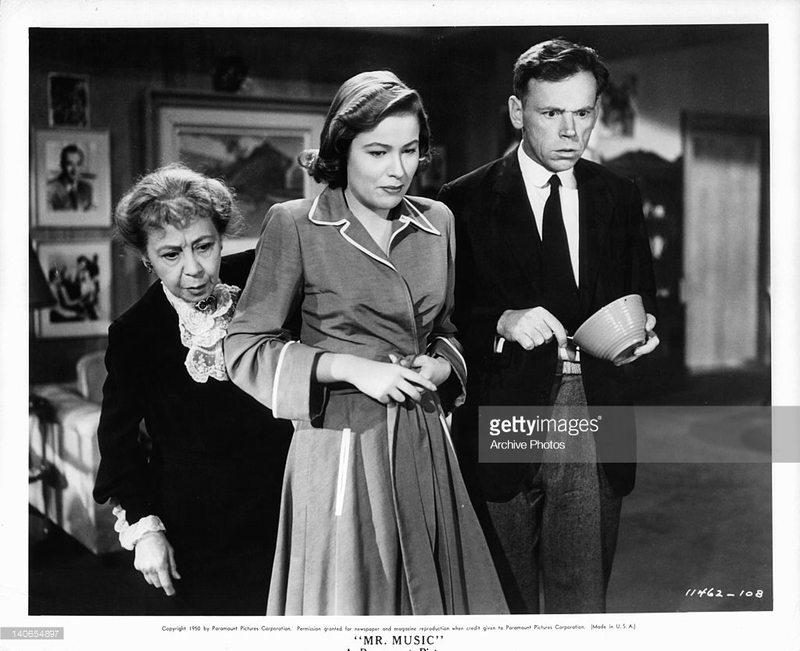 A harmless entry in the movie going season of 1950 that saw Miss Olson also appearing in the bona fide classic, Sunset Boulevard, and the superior Noir thriller, Union Station. Both films cast her opposite William Holden. Though this film pales in comparison, it’s still a decent time filler for those who enjoy spending a couple hours with Bing surrounded by a nice cast even if he is minus Bob. I don’t know about you but I’d consider this a rare film in the Crosby cannon of titles. It’s taken me this long to finally see it for the first time after coming across a VHS release of it. Just in case you are now wondering how to locate it. I’d never even heard of this one, but quite a cast list…interesting to see Groucho in a later non-Brothers role. 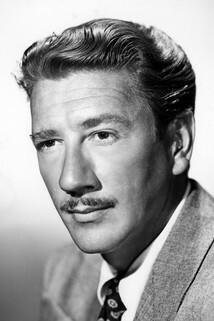 And I was trying to figure out where I’d seen Richard Haydn before, and finally had to look it up: Young Frankenstein! And yes, Union Station was a pretty cool noir. That’s Haydn! I also liked Groucho in Double Dynamite. A film he steals every scene that he’s in from Sinatra and Jane Russell (cue the comments on the film’s title) Film is generally panned but I like it and Groucho is hilarious.